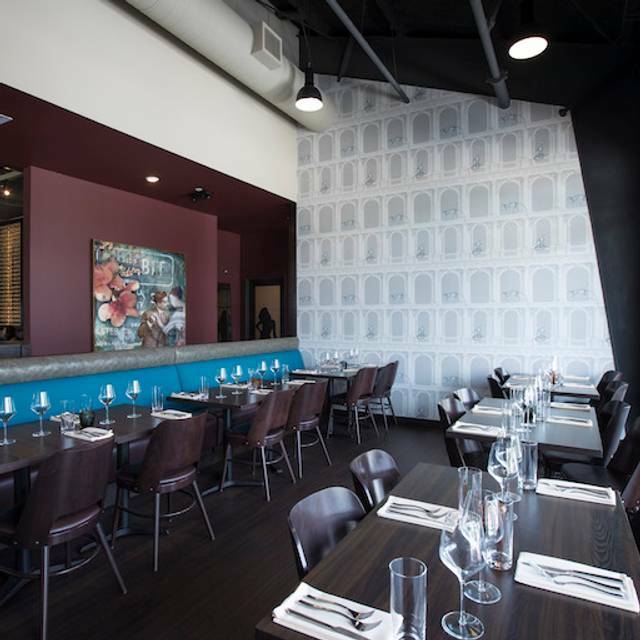 You must make reservations at least 5 minutes in advance of the time at Poitín Bar & Kitchen. Poitín is available to cater any event, no matter how big. 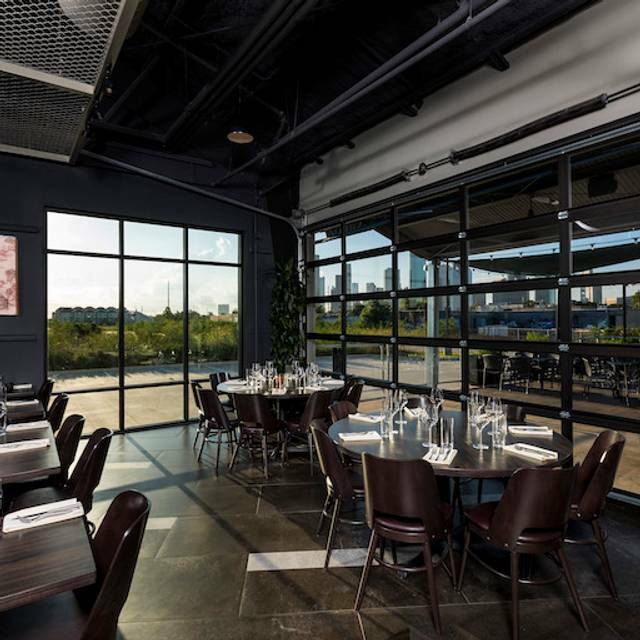 Contact the Director of Events & Catering, Caroline Morris, at 713.470.6686 for inquiries. 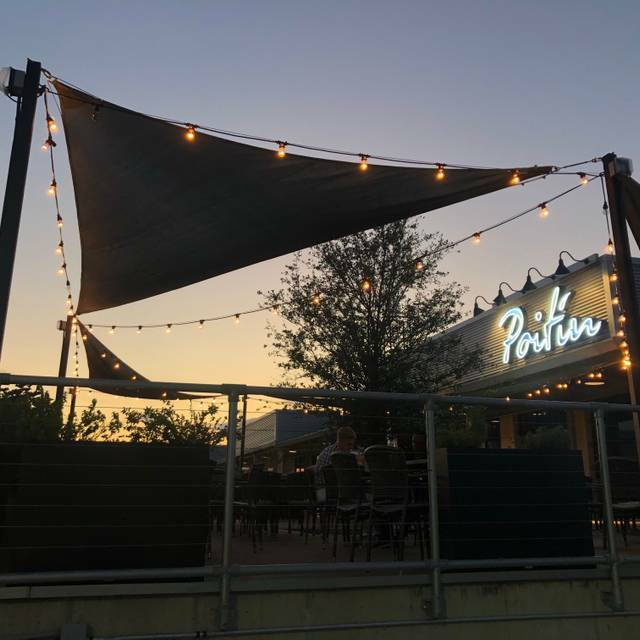 Poitín offers both private & semi-private options for your next gathering, whether its a special event or an office get together. 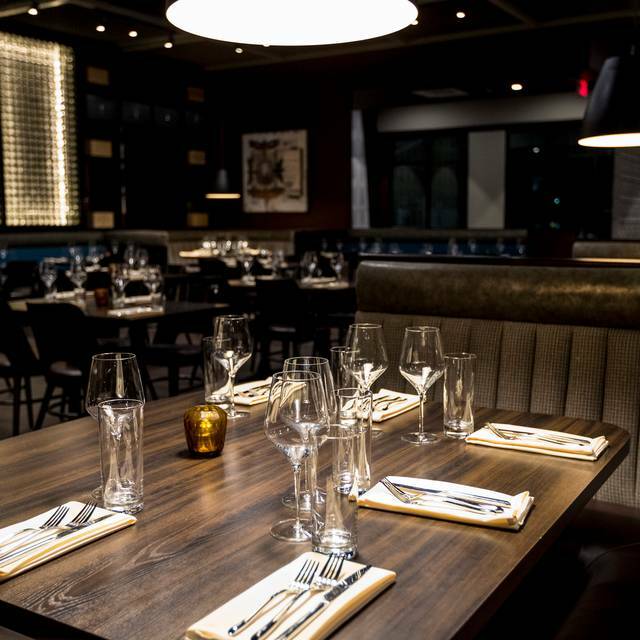 Contact the Director of Events & Catering, Caroline Morris, at 713.470.6686 for inquiries. 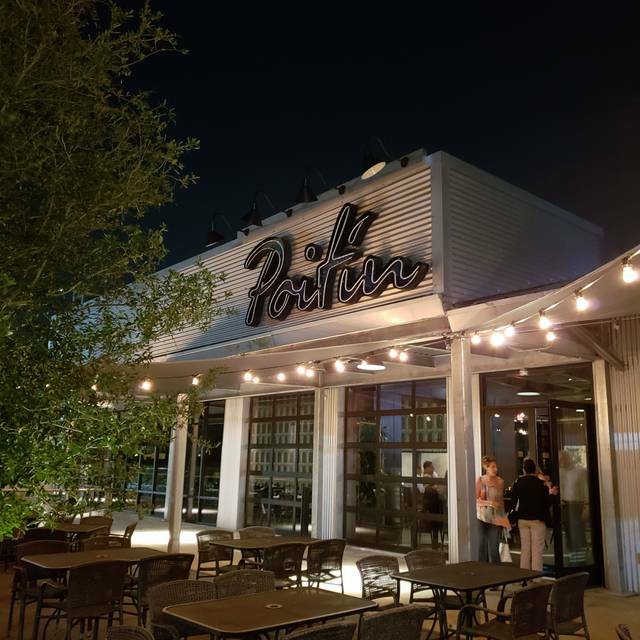 Just as the City of Houston opens its doors to immigrants from around the world, Poitín welcomes all-comers. Here we celebrate Houston’s diversity and its inclusive spirit. Our food and drink menus are a culinary embodiment of that diversity, with a modern Irish cocktail bar, a modern Southern kitchen, and global influence throughout. Very interesting unique menu. Nice view of downtown. Extensive cocktail menu. The restaurant was empty on a Friday evening so we were waited on very quickly. Although the restaurant was pretty, food was on the pricier side and unfortunately, my gnocchi was basically inedible. The other dishes were okay. Will not return or recommend. Service was slow and we had to ask several times on our requests, even with restaurant being 1/2 full. Small plates were fine but entrees like pork belly (much more fat than meat) and cajun mixed grill (very chewy meat) were not worth the cost. Excellent day/night for the patio, great view of downtown. Food and drinks matched the view. It took a long time for our drinks to arrive, but the waitress was very knowledgeable and had great recommendations. I had the pork belly which was phenomenal but a bit small for dinner. I went for Sunday funday and my waiter was fairly new. She was very informed on things but socialized way to much with me and my friend. Also I checked my bank account the next morning and she charged my card twice for two different transactions. Which is not paying attention to the job. Not sure if I want to go back. Original menu and a cool place with a great view of downtown. Service just ok, had to keep asking for coffee and water refills. All in all, super brunch experience. The location and view is the only thing the restaurant has going for it. The service was painfully slow and I had to actually get up and search for our waitress to get our check so that we could leave. Food was ok, but not worth the price. The menu is also weird and doesn’t offer enough variety. We won’t be back anytime soon. very disappointing. Dirty mushroom appetizer was weird consistency and served in a bowl with no serving utensils or bread and tasteless. Chicken was moist and ok, greens excellent but served with no spoon to share, mac & cheese tasteless. Was a great choice for our dinner with Irish guest. The owner cane over to introduce himself... very attentive. Great service and ambiance. Nice, unique wine selection. Food was good but not great—each of our entrees (duck and flank steak) lacked ideal flavor combinations. Their signature dessert (served in a mason jar) is worth a try for novelty's sake! Food was amazing! Bartender was great. Would recommend to anyone. Service was poor. Waitress took me to table and said she would come back to split the tables since there was only to be two of us. My date showed up 5 mins later so I split the table myself and brushed off crumbs from previous diner. Sloppy service and attention to detail. Waitress came back eventually to take order but never noticed. We also ha to ask multiple times for lemon for the water. After serving us, she took forever to get us check and to pick up my credit card. Wasn’t even all that crowded. I ended up flagging the bartender or manager and they took my card. Not impressed at all with service. Hope someone actually reads this and coaches their service staff to be better. 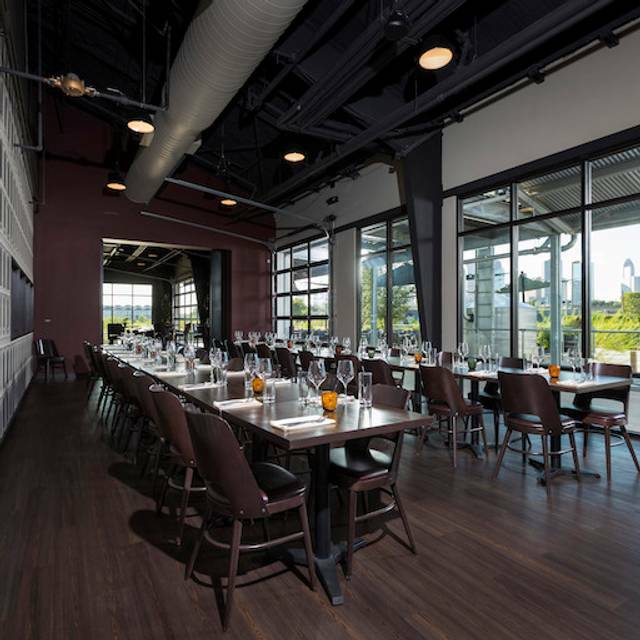 The dining area was comfy and perfect for a group and private dining. We enjoyed our first experience! 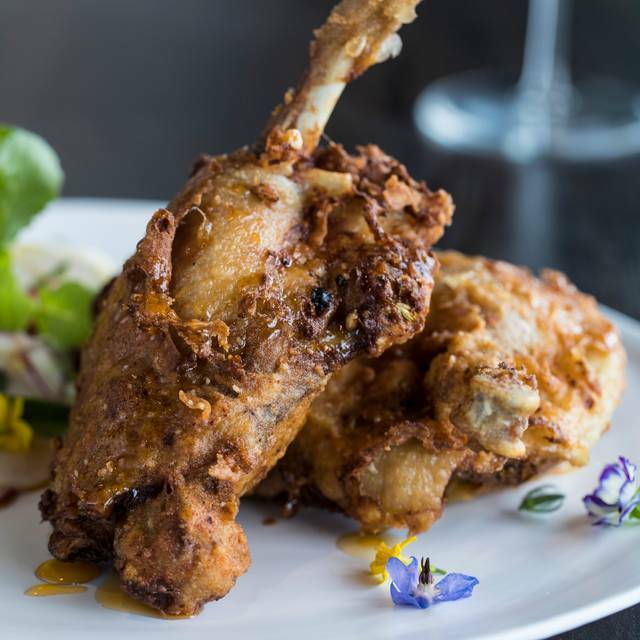 This is a great dinner option, the menu includes a wide variety of choices for every palate, including wild game and a Smoked Fried Chicken that is unlike anything I’ve every had. The Mixologist will craft a Smokey Old Fashion that is worthy of a visit by it self. If you are visiting Houston or are a Houstoian looking for some place different - this is the place. A must try. What a great Sunday surprise! Didn't about this place but did a search of best brunches in Houston and it came up. So, being adventurous we booked a table and we are so glad we did. From the moment we walked in we knew we were going to enjoy this place. The ambiance that greeted us was warming and inviting. We greeted graciously and seated promptly. Our server arrived in a timely manner and recommended serval options for cocktails. The smoked old fashioned was amazing, and delicious very clever. Brunch was delicious we enjoyed the creamy burrata salad and I had the BBQ Shrimp and Grits and my partner the TX Steak Benedict. Both were amazing in both taste and presentation. 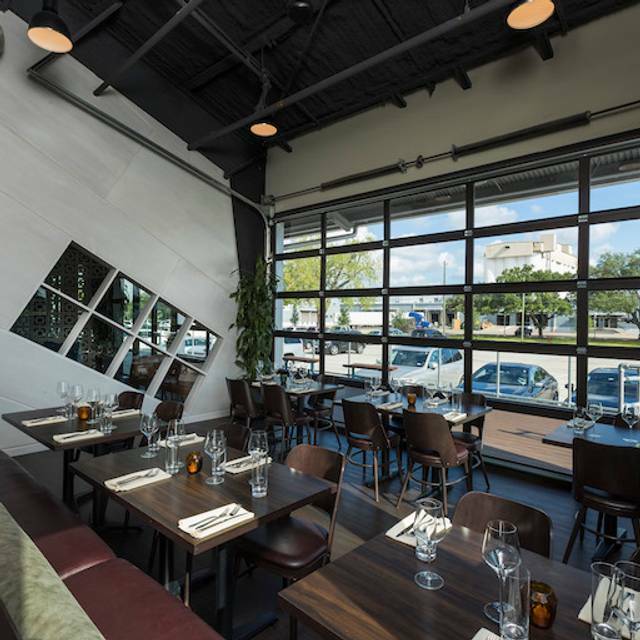 We can not wait to return when the patio doors are open and the spring weather is upon us in Houston! The food was mediocre. The collard green risotto was just “ok”. It needed salt. The presentation was really lackluster for the price. It was just sort of...brown. Served on a brown plate. A bit unappetizing. My date had the cauliflower and it was basically small piles of brown veg, served again on a brown plate. Look I sound like I’m being picky but we eat with our eyes too and the plates there aren’t exactly a bargain. We both left hungry. Service was ok when they finally came to our table (took about fifteen minutes before we got a drink order). Which would be 100% excusable during a busy time, but the dining room was practically empty. I have zero desire to revisit this establishment, as there are so many good options in the city. Super cute atmosphere! The latte was delicious! Food is outstanding (amazing actually) but neither the ambience (are the tables plastic?) nor the service match the food. Great ambience, fabulous cocktails. Will be back! One of the two brunch items we ordered was inedible. Literally, the bagel was so stale you could not bite in to it. By the time the server stopped back by, the other person had finished their meal. We ordered a duplicate of the “good” meal as a replacement, and it took 20 minutes for it to arrive. It was notably underwhelming in presentation compared to the first. Clearly inconsistent and poor food. Slow service compounded the situation. It was very slow on Sunday afternoon (maybe 2 other tables inside). May just be growing pains but there are too many other great options to leave so disappointed. Had a fun evening with friends! We’ll be back! Got off to a poor start with the hostess seating us at ridiculous table in the middle of the dining room when the restaurant was empty. When we requested for a better table she said they were all reserved. Mind you this was at 4pm. The food: we started with the soup that had no salt, then we had the duck and venison. Both were just about ok nothing I would repeat. The Liang greens were the only thing on the menu worth a mention. Overall bad service mediocre food! The food at Poitin is very good. We shared 3 appetizers, being the Louisiana blue crab, creamy burrata, and short rib. All were excellent. For dinner, my spouse had the flatiron steak and I had the duck. My duck came out medium rare and I enjoyed it very much. The flatiron steak didn’t quite measure up to the appetizers or my duck. The service was very good and attentive. The interior of the restaurant is in the current style with not much to absorb sound and a music system that, to my taste, was a little too loud. There is a nice view of downtown. And there is no valet parking, which is getting rarer at restaurants like Poitin and which I consider a plus. Inconsistent. Some food great (pork belly; crudo); other foods poorly executed (crab meat, carrots). Understaffed; server did best she could under the circumstances. Might return, keeping the limitations in mind. Needs to improve kitchen consistency & staff properly. Drinks and starters were superb. Only negative was the steak. 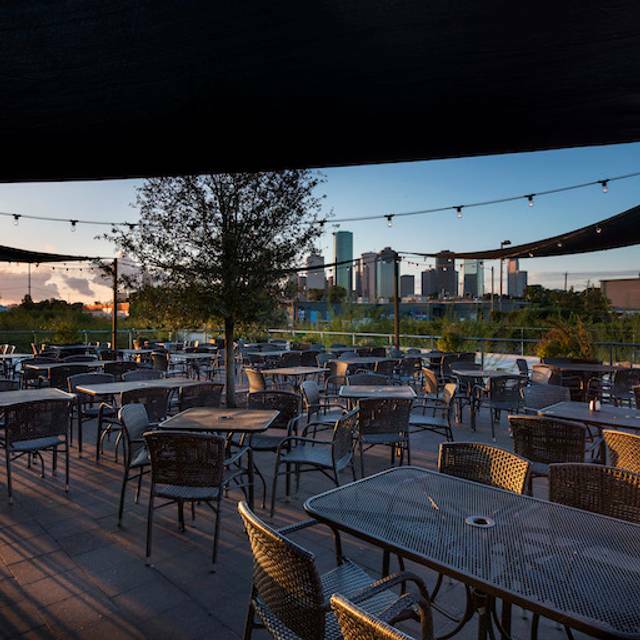 The drinks and food are good and it’s a great ambiance with a nice view of DTHTX. Their fries need a make over but they have good music! Our waitress was great and overall, it was a good meal. The problem with service is I SPECIFICALLY REQUESTED a table by the windows overlooking the bar area. I got a snarky response from the host dude that it was not available, yet the entire time we were at the restaurant it sat empty. This was my second time at the restaurant, so that is a very good sign as more than half the new places I try I don't return to. When I consider how much money I spend on dining out (top 1%er I would say), I expect to be treated in a commensurate manner. I did not feel treated appropriately as my request was not honored or respected. Phenomenal food and the best service. I will be returning for brunch again. It took over 15 minutes to get a grapefruit juice and when I asked about it, the waiter replied, "it's at the bar." One of the patrons also asked that her food be dairy-free but returned with a plate full of cream cheese. We had to hail the waiter since he hadn't been by our table in a while. Once the food arrived to the table (corrected and with our beverage), it was enjoyable. It just took a lot to get to that point. Everything was as described on the menu and yet the flavor of every dish seemed...odd. It all felt rather experimental. Went with two friends and we shared 6 dishes. I'll very likely go back to check out that deck and the incredible views, and to give that menu another go. Apparently ran out of items that come specifically with my meal(Blood sausage), which was weird because it wasn’t late. Food was served to me without everything (missing breakfast potatoes) and when I asked about it I was made to feel as though I was misinformed even though the menu stated what all came with my selection. Other than that the service was adequate, the food was nothing to get excited about, but the layout was great.